Landing that dream developer job is hard work, but it all starts with the resume. Your code may be tight and you may have a wide range of deep experience, but if you shortchange the time spent on your resume, you may not get recognized in the job marketplace for your true worth. You might even sabotage your chance of being invited for interviews. We spoke with recruiters and hiring managers to get a sense of what makes candidates break through the slush. They may not have heard of your current and past employers or products you have worked on, but if you present your accomplishments and skills in the right way, you can maximize your career opportunities in a hot job market. Here’s a look at what you should -- and shouldn’t -- do when crafting your resume. Attention to detail is an essential trait for programmers, but it’s best not to overdo it on your resume. “This year, I have seen multiple candidates with resumes over 10 pages long that are filled with technical details. Those resumes take a lot of work to understand. 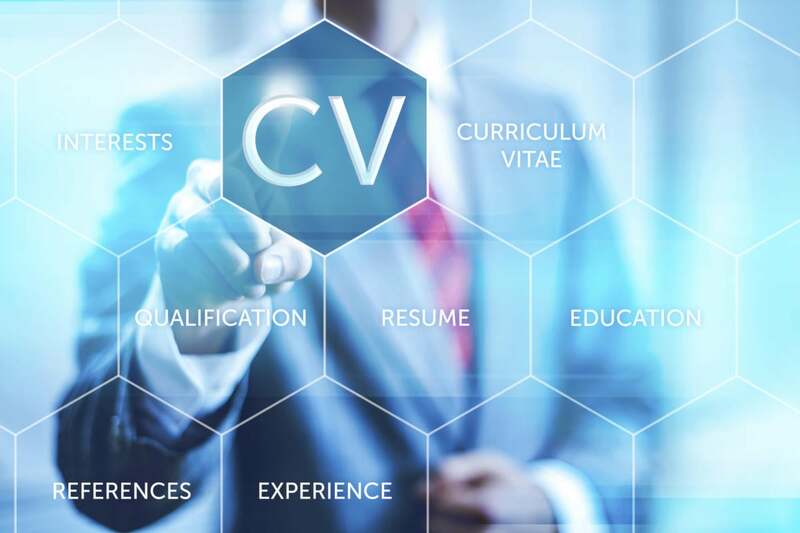 Unfortunately, some candidates list every technology they have ever interacted with on their resume,” explains Brandon Vince, ‎who works on strategic talent acquisition at Cisco. In addition to losing hiring managers in your details, you also risk coming off as someone who can’t weigh the importance of your own work—a nonstarter for companies looking for programmers who can make a difference in prioritizing business goals. Your resume is meant to present you in the best light, not serve as a comprehensive transcript. In working closely with a department or company, you become an insider. That’s helpful while you are at the company and have a shared reference point. On a resume, the insider perspective makes it difficult for hiring managers to understand your value. Including a short explanation that gives the business context and impact of your development work helps hiring managers fully understand your achievements, giving them not only a better view of your value but also insight as to how your efforts can help them achieve their own business goals. Overwhelming hiring managers with material is only one problem with an excessively detailed resume. If you list a skill or technology on your resume, expect that you may be asked questions about it. “I have seen candidates list Assembly on their resume, then struggle to answer questions about it during interviews,” explains Pablo Calamera, CTO at Vonage, a telecommunications company. Rather than listing every programming language or product you've used, limit your resume to those skills where you have significant dexterity and expertise. Otherwise, you run the risk of embarrassing yourself in the interview. “Listing numerous platforms and languages on a resume without clearly indicating your level of proficiency leads to problems. The applicant appears in a keyword search with that approach. However, once a hiring manager or recruiter connects with the developer, it doesn’t take long to find out there is a mismatch in terms of skills and expertise,” explains Marissa Peretz, founder of Silicon Beach Talent, a recruiting firm based in California. Tailoring your resume to the tech prerequisites of a job listing is important, but so too is targeting the role. After all, the difference between a junior and senior developer often goes beyond years of experience. “A senior developer at our agency likely only spends about 20 percent of their time directly writing code. The rest of the time, a typical day may include mentoring junior staff, working with project managers, and working with software architecture,” explains Jim Oxenford, mobile development manager at Tonic Design, a digital agency in Pennsylvania. In other organizations, “senior iOS developer” may mean you have been on staff the longest. The best way to find out what these terms mean in various organizations is to read the job posting closely and reach out to your network for advice. Your resume also needs to align with your career goals, such as whether you want to move to management. “If a person is searching for a management position, I’m looking for evidence they have tackled tough challenges, collaborated with other departments to solve complex problems, and otherwise shown leadership,” adds Silicon Beach Talent’s Peretz. Communicating this type of accomplishment on a resume is harder than compiling a list of technologies. That’s why candidates who take the extra effort stand out. In today’s systems-based hiring culture, keywords on your resume will make it discoverable, but there is such a thing as too much optimization. While it might seem like a good idea to create a resume meant to sparkle in the eyes of the machines, don’t. “At the end of the day, write the resume to be read by the hiring manager, not a system,” explains Calamera. “Some candidates go a bit crazy in loading up their resumes with acronyms – that approach obscures the individual’s true talents,” he adds. Years ago, Google’s search engine adjusted to aggressive keyword tactics. Likewise, hiring managers and recruiters can tell if you are going too far. It’s been said before, but its value is true: For some employers, open source contributions and related professional activities make a big difference. Sometimes it can even help you bypass those notorious programming tests. “If a candidate links to significant code contributions on GitHub, we look at that. In some cases, it may be so good that we skip the coding challenge in the hiring process,” explains Cisco’s Vince. Augmenting your resume with project code repositories is especially important if you are seeking to make a career change. “If a candidate is working on learning Ruby on Rails in their spare time and publishes to a code repository, I would consider that even if their day job did not involve Ruby,” explains Vince. If you are looking to change your career focus, public contributions are one strategy to pursue. “Your problem solving abilities and process is highly important in addition to specific technical skills,” adds Calamera. If you overcame technical limitations or problems to ship a project, that’s a powerful message to share with employers. If your resume attracts interest, you may be invited to a coding challenge to validate your technical skills. It has become a common practice because employers and candidates struggle to evaluate technical expertise. As you put together your resume, know that anything you include is subject to review. That includes sweating the small stuff, as functional software is only part of the picture with a coding challenge. “I look at their code for a few qualities: Is it clean? Is it well documented? Did it address the requirements?” comments Calamera. Your approach will also signal what you might be like to work with as a colleague. “At the end of the day, a good test for quality code is whether someone else on the team can understand it without your explaining it,” adds Oxenford. Formal education and certifications play a role in setting your resume apart, and sometimes that means broadening your scope. “If a software engineer is looking to work on Cisco’s security products, it helps to have Cisco certifications,” explains Vince. Certifications of note include the CCNA and CCNP. “If a developer has the CCIE certification, that’s amazing,” Vince adds. “Beyond Cisco certifications, I also take note of Network+ and Security+ certifications to demonstrate industry knowledge,” he adds. While it’s still under debate whether dev-specific certifications will give you an edge, if you are looking to work within a specific industry, going the extra mile to prove your interest and acumen can be worthwhile. While certifications can help, your motivations and objectives count more. “If a candidate has multiple certifications, I ask about them: What did they do with this knowledge? How does it fit with their work and career?” comments Vince. Learning for learning’s sake has value, yet the learning is more compelling for an employer if you can show what you did with your new knowledge. If you earned a certification a long time ago, think carefully about whether it makes sense to include it. After all, you may be asked questions about it during an interview. The most effective resumes convey a career plan. When putting together your resume, it’s important to reflect on your career progression and whether you are meeting your needs so that you can tailor your resume toward getting to your next step. Here, having a goal that goes beyond a job description is essential, whether it’s to move to a management role, to go deeper in a more technical position, or to shift to a new domain, industry, or profession. Once you have a sense of your path, tap your network to find friends or colleagues in roles similar to your target. Their tales of how they came to be where they are will provide insights as to how you should polish your resume in service of your goal. This story, "10 resume do’s and don’ts for developers" was originally published by InfoWorld.